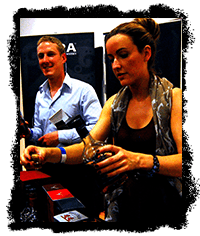 The 2019 Edinburgh Whisky Stramash, 18th & 19th of May 2019. Sign up and keep informed. The Whisky Stramash is an encounter of many elements and experiences; you can expect the opportunity to sample, and purchase if you wish, a huge array of amazing whiskies from Scotland and abroad. 2019 attendees details coming soon, check our facebook for the latest news here! 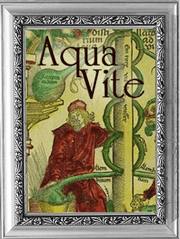 of aqua vitae which in Englysche is callit water of life. ye wecht of ane drame is twa pens halpenny. This water is cleir and lychter than ye water of roses for it will fleit above yis water. Taken from Ane Gude Boke of Medicines [Edinburgh University Library Special Collections DC8.130]. From Early 17th century, extracts from a well-known Treasure of Puir Men. Much like ancient Greece and Rome, surgery and medicine are thought as closely allied disciplines as part of modern day science. However, throughout the Renaissance and until the 18th century in Western Europe, surgery was considered more a trade than a profession, and surgeons had more to do with barbers (barbours) than with physicians. This disconnection between surgery and medicine may have originated due to religious attitudes as a papal decree prohibited priests, who traditionally would have carried out procedures, from performing surgery. As a result, responsibility for surgery passed from monasteries to barbers who had experience with razors. The academic and social status of these barber surgeons was usually considerably less than that of physicians. Barber and surgeon guilds began appearing in Europe around the 13th century; The Royal College of Barber Surgeons in Edinburgh was officially recognised with The Seal of Cause in 1505 (Incorporation). The Incorporation allowed certain privileges, including a monopoly within the Edinburgh area to distil for the purpose of medicine. It is unclear if the total product of any distillation was purely used for this sole reason; however there is some evidence that some may have been sold on the lucrative black market. You will find many characters on this page. Each one has played a significant part in the tale. Click on a character to take you to their story. 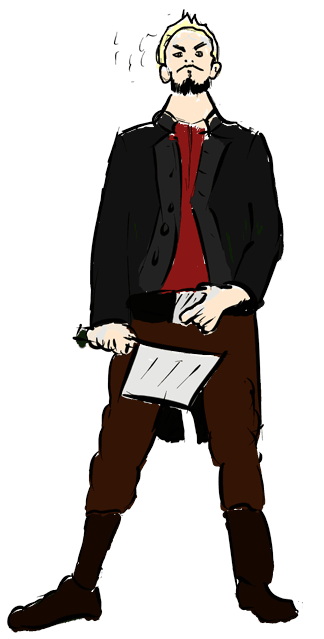 The exciseman, or gauger as he was known in Scots, was likely to be the most hated figure in Scotland from the 17th century. In the wild areas which lay between the Lowlands of the North-east and the illicit whisky industry was a massive enterprise. People did not just distil for pleasure; most of their production was exported to the Lowland towns and cities. The money from the sale of the contraband did what farming in these poor areas could never do; it raised the money to pay the tenants’ rent and left a good surplus for a decent living. Everyone, involved in the distilling or not, conspired to defeat the forces of the law. Local landlords, acting as Justices of the Peace, enforced ludicrously low fines on distillers - since these landlords too were often the recipients of the cash, as rent, from illicit distillers. The job of cracking down fell to the gaugers. The gauger was spurred on by the promise of a large bounty, given as a percentage of the value of the spirits seized. While the soldiers in the mountains had little success in stamping out the supply side of the industry, located in well-hidden illicit stills, gauger’s concentrated, with much more success, in intercepting the contraband on its actual way to the Lowland markets. At the height of the illicit still period there were over 14,000 illicit stills, with over 3000 prosecutions in a single year. The Kirk ministers assisted the local communities ensuring production and the smugglers organised smoke communications to warn of approaching gaugers; however the excisemen were confiscating just under half of all the illicit whisky produced in Scotland – no mean feat if you consider the volume being produced. In 1823 the Excise Act was passed, which sanctioned the distilling of whisky in return for a licence fee of £10, and a set payment per gallon of proof spirit.Smuggling died out almost completely over the next decade and, in fact, a great many of the present day distilleries stand on sites used by smugglers of old. The Excise Act laid the foundations for the Scotch Whisky industry as we know it today. 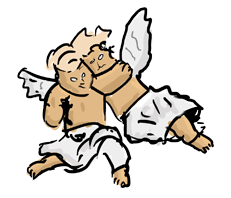 The angels refer to the loss of liquid during the maturation process; about 2% of the volume is lost in this way each year. It is affectionately and simply referred to as the Angel’s Share. We hope they enjoy it and drink responsibly. In 1540 the Barbour Surgeons were amalgamated by an Act of Parliament. The law forbade surgeons from practicing barbery and barbers from practicing surgery, except for the pulling of teeth. There were many more barber surgeons than physicians, and there is evidence that barber surgeons sometime ventured beyond their trade into the practice of medicine .This amalgamation lasted for two centuries, until it was ended by an 18th-century trend that led surgeons across Northern Europe to disassociate from their hair-clipping colleagues. In Edinburgh, frequent disputes arose between the two branches of the Incorporation concerning the rightful scope of their work. In 1695, the Incorporation was granted a new charter which confirmed the jurisdiction of the Surgeon Apothecaries over the practice of surgery. The charter also confirmed the Incorporation’s responsibility for anatomical teaching and this prompted it to apply to the Town Council for more bodies for dissection. This in effect was the dissolution of the barbers and the surgeons as single entity into the modern professions we associate them with today. The Council approved this application on the condition that the Incorporation provided an anatomical theatre. The first public dissections were conducted there in 1703. Q. What is the Whisky Stramash? A. 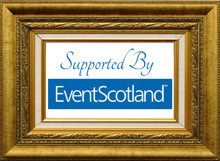 The Whisky Stramash is a whisky event aimed challenging stuffy perceptions of Scotch and other worldly whiskies. At the Whisky Stramash there will be over 200 different whiskies from around the world to sample and number of participatory "experiences" that Stramashers can get involved in. Q. What do I get in return for my hard earned bullion? A. The Whisky Stramash is an inclusive event so you get the chance to sample whiskies from around the world and take part in our experiences. Unlike other whisky events, we do not run sample tokens or charge you for getting involved; we believe on running an event that is fun, safe and value for money. A. As we’ve said previously, experiences are included in the price of the ticket and we do not run a voucher system for sampling, however if you want to purchase a gourmet pie, a bottle of your favourite, a Glencairn glass for sampling or even perhaps a pint of something slightly more refreshing you will need to bring some coins. We should add that there isn’t a cash machine available at The Surgeons’ Hall. A. This is a very popular question. We did consider promoting fancy dress as we understand many Stramashers want to dress up, however quite simply wear what you like! Q. I know nothing about whisky and I am a bit worried about asking questions!? A. You’re in the right place, we will have a load of very special "unbranded" Whisky Stramash ambassadors, who will be there to help, answer questions and take you on a tour of whisky regardless if you have been drinking whisky for 25 minutes or 25 years. Q. Is there any food at the Whisky Stramash? We will have a fantastic food area where you will be able to purchase some tasty grub, soft drinks and amazing Beers and Cocktails. Q. How do I get on the Experiences? All our experiences are on a first come basis, but we will have a system in place to make sure you queue as little as possible. Some experiences have limited capacity, but don't worry there's loads to do. Q. 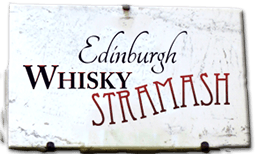 Where and When is the Whisky Stramash? The Whisky Stramash is held the historic Surgeons' Hall on Nicolson Street in Edinburgh. There are three sessions over 27th & 28th of May. Each session is individually ticketed and you are advised to turn up 15 min before your session. It is thought that early Monks discovered distilling and produced a spirit known as uisge beatha - the water of life; in fact the first ever distilling record in Scotland was noted in a tax document in 1494 from a Friar John Cor who made “eight balls of malt to produce aqua vitae”, a production of around 1500 bottles. 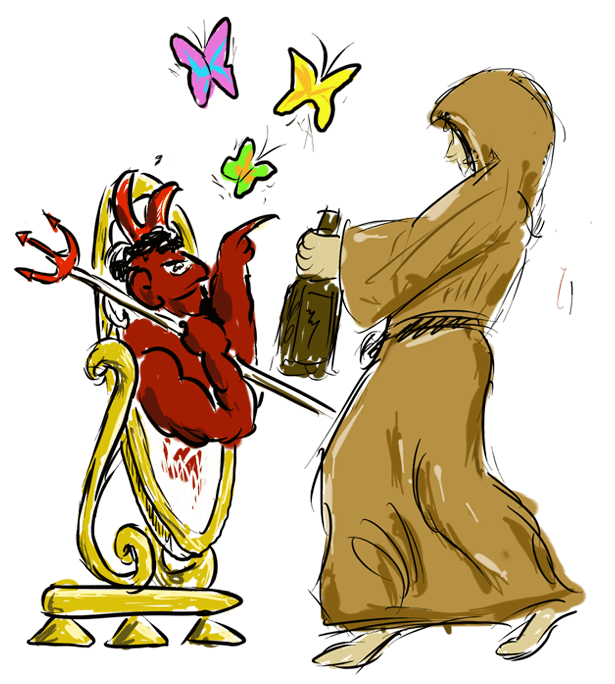 It is also thought that with the dissolution of monasteries in the 16th century and with monks being driven from sanctuary, that distillation methods were spread as they had to put their skills to use. Initially whisky, the name of which evolved from uisge beatha, was taken for its medicinal qualities, being prescribed for the preservation of health, the prolongation of life, and for the relief of colic, palsy and even smallpox. However whisky’s links with the Church of Scotland do not end there, during the illicit still period throughout the 17th century, the church ensured that production continued by storing “stock” in the pulpit and often assisting in transporting illicit stills in coffins from town to town.